Driver of the weekend. 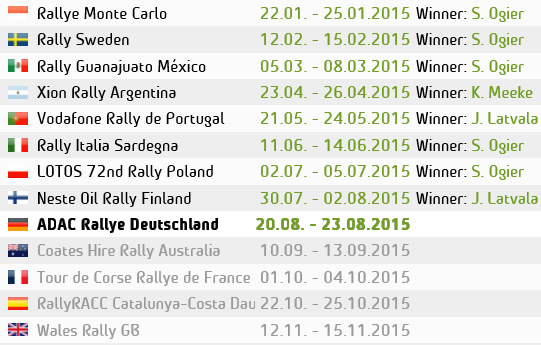 It’s tough to choose from Rally France as we saw a lot of talent by a lot of the top boys. So lets recap what happened and see which driver showed the most impressive pace and performance of the weekend. Putting aside the Battle that we had all expected to see concerning the two Sebastien’s. 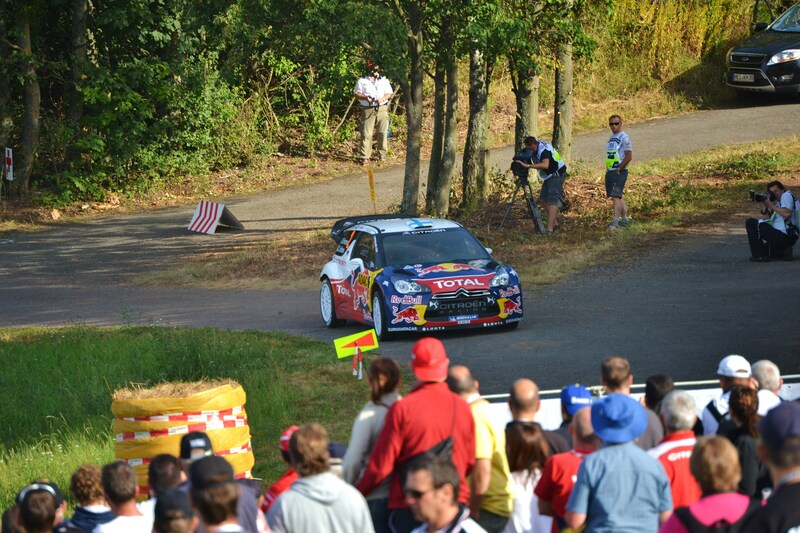 This weekends rally France provided us with one of the most exciting tarmac battles we’ve seen since…. well Germany over a month ago. But before then. Tarmac rallies belonged to Master Loeb. And almost any event on the black stuff was won by the first day. However this weekend was very much different. With battles for the lead throughout the whole rally. The rally kicked off with the Power Stage, where Ogier and Volkswagen took the driver’s title. But it was Citroen’s Dani Sordo that held the lead going into day 2, with Thierry Neuville just 0.7 behind. It seemed the two would give us a bit of a repeat of Germany. As the two tarmac specialist battled it out, it seemed the pair were a level above the rest of the field. By the end of Day 2 Neuville had the lead over Sordo. The pair separated by 9.8 seconds. This is where Volkswagens Jari Matti Latvala began to show us that talent that has been locked up deep inside for too long, as he held 3rd over night. By mid afternoon of Day 3 the old, confident Latvala we used to see came out, and made up a place on Sordo and began to chase down Neuville. After the first loop of stages, the Belgium still held the lead by 13.1 seconds. However in the afternoon, on SS11. Thierry picked up a rear wheel puncture, making the car hard to control, causing him to spin after a corner. overall the Qatar M-Sport driver dropped over a minute and lost the lead. Sordo managed to pick up the pace on that same stage and retook the lead over Latvala by 2.9 seconds. By the end of the day though Latvala and Sordo swapped positions on the final stage. The gaps in the top 5 had closed up at the end of Day 3. With the top 4, containing leader Latvala, Sordo, Ogier and 4th place loeb, all within just 5 seconds of the lead. At this point any one of them drivers could have been the driver of the day depending on what they showed in the last 50km or so. But on the final day, Sebastien Loeb slid off the road and onto his roof, making it game over. Seb Ogier, suddenly found some incredible pace and another gear on his Polo R and went faster than everybody to take the win by 12 seconds from 2nd place Sordo, and Latvala who finally finished in 3rd. Looking at the pace of the drivers over the weekend, it is without a doubt, that Qatar M-Sports Thierry Neuville was the driver of the rally. Neuville and co-driver Nicolas Gilsoul were superb throughout the four-day event. Having led the field for much of the event, the Belgians were on course to secure a maiden FIA World Rally Championship (WRC) victory until that puncture. “Obviously I am disappointed having had the opportunity to take my first win this weekend, but I have to accept it. I think that we had a really good weekend and we have definitely shown that we have the speed and the car to win rallies. Neuville has scored 5 podiums in a row, and 4 2nd places. Now the team are wondering what could have been, if it wasn’t for that puncture. eventually finishing the event in 4th. Neuville showed that he has the pace to win and isn’t afraid to battle at the top. 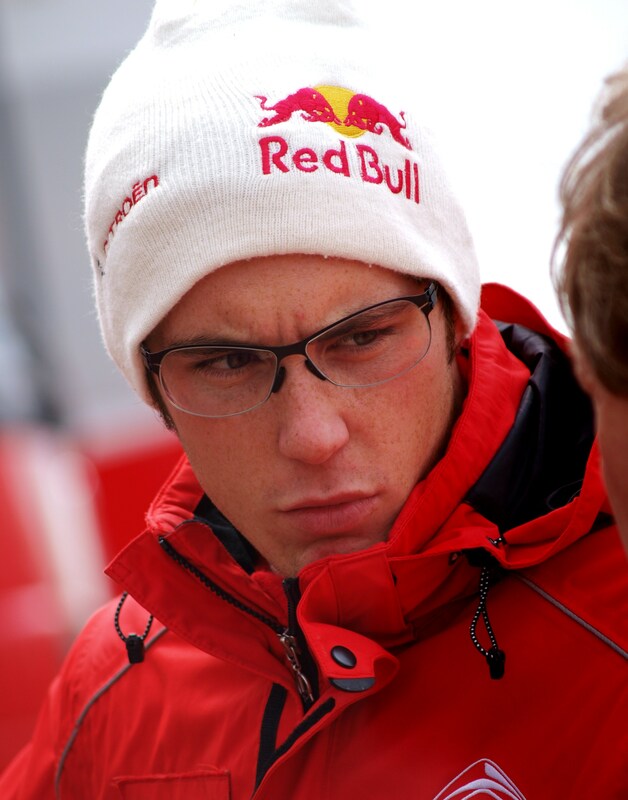 Rally France, Driver of the weekend – Qatar M-Sport Driver Thierry Neuville.